Enter your details below and we'll create a 30 SECOND AUDIO CLIP, complete with professional voiceover and music track, so you can hear how great your company could sound. 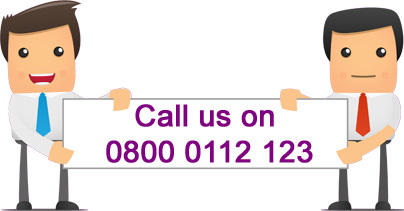 If you don't like filling out forms call us on 0800 0112 123. Tell us a bit about your business and we'll create a free 30 second audio clip so you can hear how good your telephone system could sound. I'm Interested In... * Select... On Hold Marketing - Single Production On Hold Marketing - Regular Updates Telephone System Messages Voicemail Message I'm not sure... help! We will only use the information you enter above to produce a bespoke On Hold Demo, we won't share your data with anyone else. The best thing is the audio clip will give you a really good idea of how the finished recording could sound, so you really can try before you buy. Remember we don't do high pressure sales! Many of our customers have complimented us on our on hold messages. No hard sell, we know you're busy so we'll just answer your questions and explain our service.